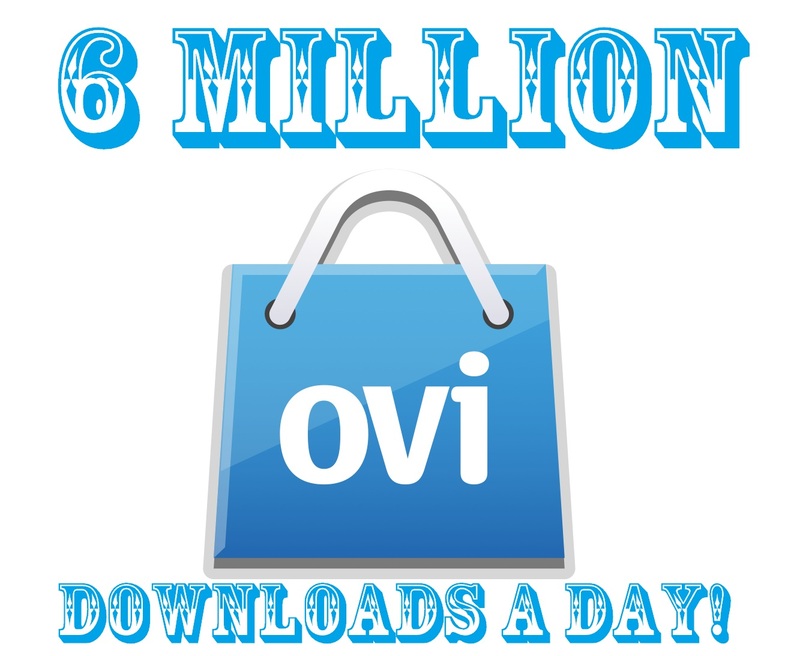 The Ovi Store (soon to be Nokia Store) is moving from strength to strength as it’s now officially hitting 6 million downloads a day (I think Elop might have mentioned it reached this a month ago in one of his keynotes). That’s over 2 Billion downloads yearly. Develop.nokia posted yesterday the official good news. consumers are downloading 6 million mobile apps and content every day. more than 48,000 apps now available. Series 40 devices, which will enable apps for the next billion mobile phone users, have experienced more than 35 per cent growth in download volumes in the last two months, making up about a quarter of the total downloads. By the end of May 2011, more than 170 developers had each exceeded 1 million downloads on Ovi Store. Among those developers, 15 companies had total downloads in the 10 million to 20 million range each; five companies were in the 20 million to 30 million range; and one company, Offscreen Technologies, had more than 72 million total downloads. The total number of operator billing connections is growing at a steady pace, too. It now includes 121 operators across 42 countries. Operator billing improves our consumers’ experience when buying Store apps and other Nokia Services; any purchase via operator billing is simply charged to the mobile phone bill issued by the Operator. more than 400,000 mobile and web developers from around the world have joined Nokia’s developer program in the past year. Together, they are making the most of a truly global distribution opportunity that only Nokia can provide. It is also worth noting that the Store is now available in more than 190 countries and over 30 languages; more than 90 per cent of all Store customers download apps in their own language. Qt developers can now target more than 100 million Nokia devices for their apps. And let’s not forget the 150 million future Symbian smartphones Nokia intends to sell, including the Nokia E6, Nokia X7, and Nokia Astound from T-Mobile USA. Also, Qt app developers can re-use code to speed the creation of apps on Maemo and the new Nokia N9 that will ship later this year. With Nokia’s unmatched integrated billing and global presence, monetization opportunities and local merchandising of content to consumers, developers can ensure that they make the most of this global opportunity. Ready to distribute your apps globally to millions of Nokia users via Ovi Store? Get started by visiting the publish to Ovi page. Want more information about developer successes in Ovi Store? Check out the Ovi Store statistics page. Cheers for the tip, Jim!